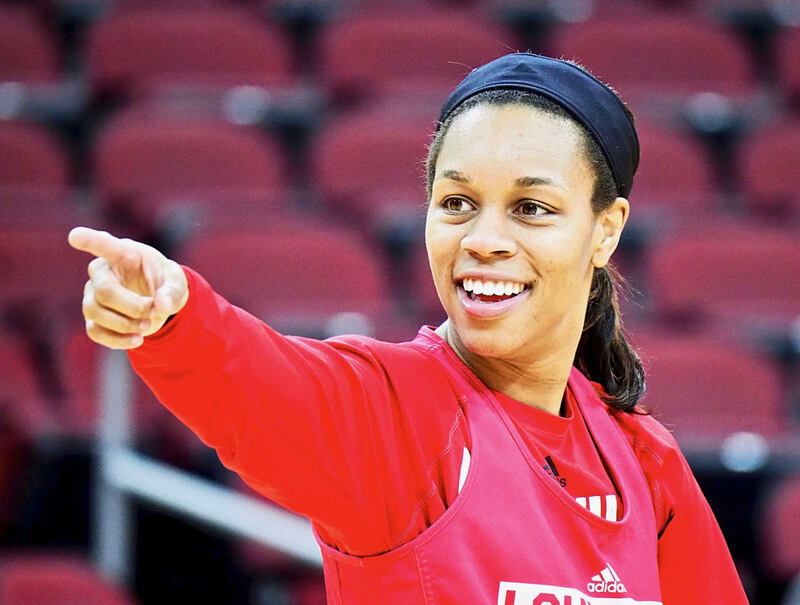 Once again thoughts turn to next year for the University of Louisville women’s basketball team (Cindy Rice Shelton photos). As Asia Durr goes, so goes the University of Louisville women’s basketball team. She’s done and so are the Cardinals in the 2018-19 season. Durr would miss her first shot 15 seconds into the championship game of the NCAA regional at Albany, N.Y. Following that one up with eight more misses in the first quarter, not making her first field goal until the beginning of the second quarter. Louisville could not afford to have its leading scorer get off to a bad start, not against one women’s college basketball’s winningest programs. The worst fears of UofL fans quickly becoming evident, leading to a prolonged and painful realization that her journey was coming to an end. Meanwhile, UConn’s Katie Samuelson, recently missing four games with back problems, having the game of her career with 29 points, including seven of 12 three-point attempts and a couple of circus shots. Take that Louisville, with those dreams of a national championship. Durr would wind up with some impressive stats, too — 21 points, nine rebounds and five assists — but because the slow start, Louisville was trying to stay in the game for the most part. Her fellow seniors — Sam Fuehring and Arica Carter — contributing 15 and 10 points, respectively. UofL did manage to cut the deficit to two points at the 36-second mark, but the odds of winning were never encouraging. A disappointing end to a fabulous career, her team losing once again to UConn, this time by a score of 80-73. The Huskies again asserting their superiority in a series they have dominated by a 18-2 since the early nineties. 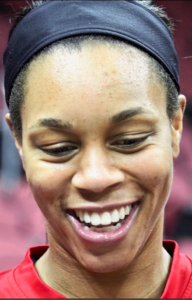 Durr finishing her college career with 2,485 points, second only to Angel McCoughtry on UofL’s all-time scoring list. 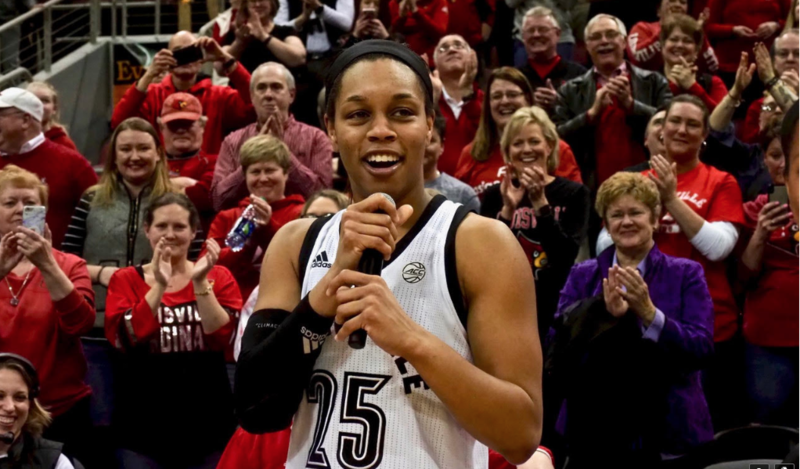 A magical career for career with some unforgettable moments for Asia Durr. Sad the journey ending a bit too soon. 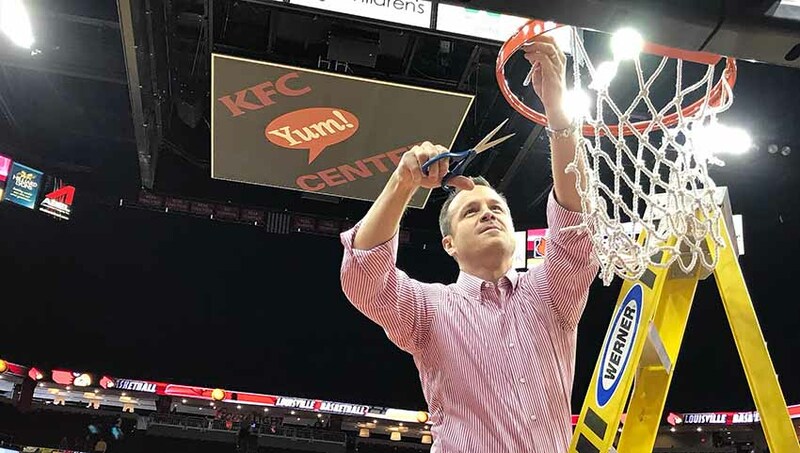 Jeff Walz cutting down the net after winning his team’s first ACC championship last season (Cindy Rice Shelton photos). 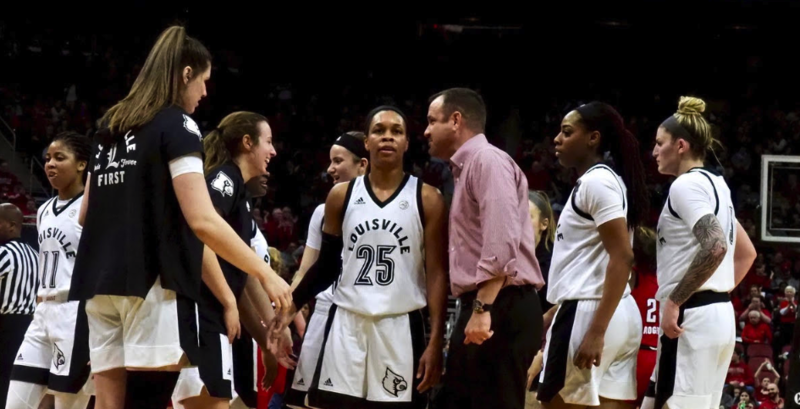 Jeff Walz is a candidate for “Coach of the Year” honors, Asia Durr for “Player of the Year” and this University of Louisville women’s basketball team is a contender to win a national championship. Until last Thursday I was a little pessimistic. No longer. 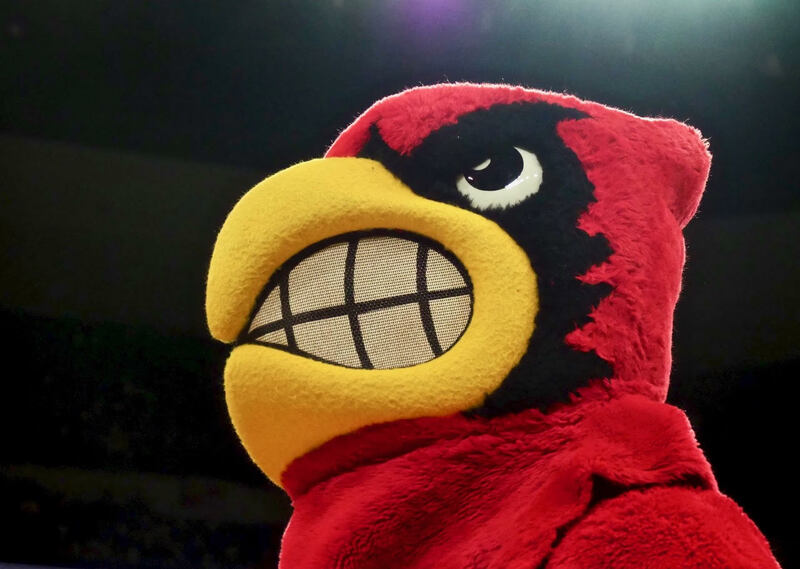 The way third-ranked Louisville shredded 10th-ranked North Carolina State convinced me that this team is ready for another long post-season run. Tampa, the site of this year’s Final Four, is a nice place to visit. I’ve been there, and it’s especially nice in early April. Asia Durr gets one more run at an NCAA championship (Cindy Rice Shelton photo). The ACC has proven again to rival the Southeastern Conference for supremacy in women’s college hoops. Notre Dame, NC State, Miami, Florida and Florida State are all quality teams. It’s possible the Irish, the defending national champions, will be a No. 1 seed as well even if they lose in the conference tournament. Winning the conference tournament or the NCAA will be difficult. But a very tough schedule has the Cardinals well prepared. Non-conference wins over UCONN, Boise State, Arizona State and Kentucky have helped as well. That bitter loss to Mississippi State in overtime in the semifinals is in the back of the mind of these players. 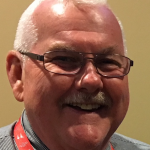 You can bet Durr, Sam Fuehring, Arica Carter and Dana Evans remember the two rushed missed layups as time expired in regulation that would have put the Cardinals in the finals against Muffet McGraw’s Irish, a team Louisville had beaten twice last season. All that doesn’t matter. What does matter is Louisville needs to play well in the conference tournament to sharpen up for the NCAA’s. The No. 2 seed Cardinals open conference tourney play Friday against either No. 15 Wake Forest or No. 7 Virginia Tech. My money is on Tech that played the Cards tough in the second half in Blacksburg, Va. in February. Another NC State matchup could follow in the semifinals and it’s possible a game with Notre Dame, a team the Cards lost to in January in the finals. Foul trouble hurt the Cardinals in that game. And Louisville wasn’t playing with as much confidence then as it seems to have now. Among the keys will be how Fuehring plays in the middle and controls her emotions. How junior Bianca Dunham scores and rebounds is equally important. If Durr isn’t scoring, she needs to find Carter, Jazmine Jones and Dana Evans. Kylee Shook seems to be progressing in the middle. If Fuehring gets in foul trouble, Shook will have to pick up the slack. Mykasa Robinson and Seygan Robins will provide relief and must contribute. Time to start clicking on all cylinders, taking advantage of still another opportunity to achieve Jeff Walz’ ultimate goal for this basketball program. Wait till next year has arrived, destiny is staring this team in the face. As Al McGuire, the late Marquette coach would say. “The last shot has to go in.” Here’s hoping that last shot goes in this time. Asia Durr doing what she does, putting up one 3-pointer after another on a record-tying night with 47 points (Cindy Rice Shelton photos). ust another amazing night for Asia Durr on Senior Night, scoring 47 points to tie her previous high game mark (Cindy Rice Shelton photo). Asia Durr came to celebrate her fabulous four-year career with the University of Louisville women’s basketball team on Thursday night at the KFC Yum! Center. Senior Night for her, and another crowning jewel for 10,610 UofL fans. 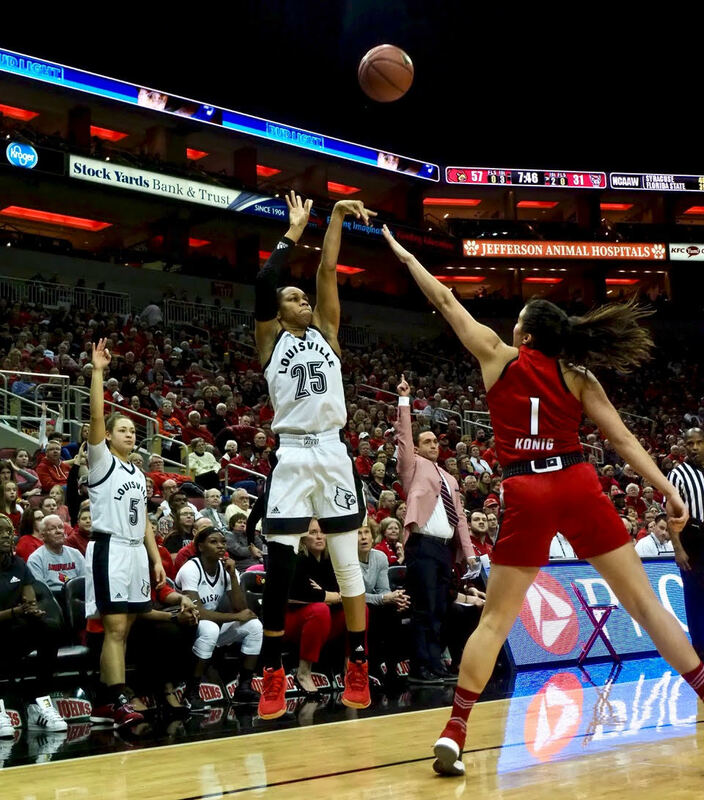 This will be another one of those nights that will stand out long after Asia Durr has moved on, a crushing 92-62 defeat of 10th ranked North Carolina State. Ranking right behind milestone wins over UConn and Notre Dame over the last two seasons. Tears all round as Asia, Sam Fuehring and Arica Carter are escorted to the court for Senior Night ceremonies. Parents, coaches, teammates and fans so proud of what the young ladies have accomplished. A special senior class leading the way to a remarkable 26-2 record overall and 13-2 in the Atlantic Coast Conference. The tears would turn to expressions of exuberance shortly thereafter. Asia would miss her first field goal attempt but connect on eight of her next 10 shots, including seven 3-pointers for an amazing 22 points in the first quarter. She was far from done, however, making 17 of 27 shots for the night, including 11 3-pointers, for a total of 47 points. The mark tied her previous high of 47 points in UofL’s opening game against Ohio State during the 2017-18 season. The 11 3-pointers setting a new Atlantic Coast Conference record.